Hayleigh Morrow, Maya Williams, Scott McAllister, Natalie Josephine Jones, and Shelby Goldsmith as the Transylvanians. 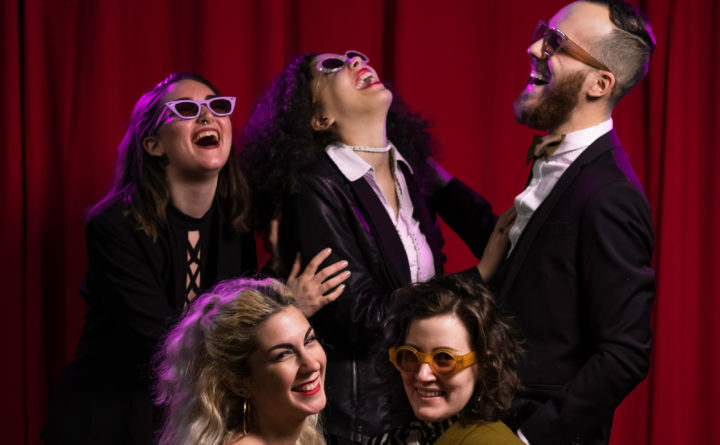 BANGOR — MESH – The Maine Educationalists on Sexual Harmony – will present “The Rocky Horror Picture Show” at 8 p.m. Saturday, Feb. 2 at the Bangor Arts Exchange, 193 Exchange Street. Tickets are available at bangorartsexchange.org and cost $12 advance/$15 day of. Costumes and props encouraged, but please leave water guns and food products at home. Prop bags will be available for sale!